My favorite store during the holiday season is Hobby Lobby! I just love how festive everything is and I especially love seeing all of the percent off signs! Even my husband enjoys going to Hobby Lobby with me – only the Grinch wouldn’t enjoy picking out Christmas decorations! 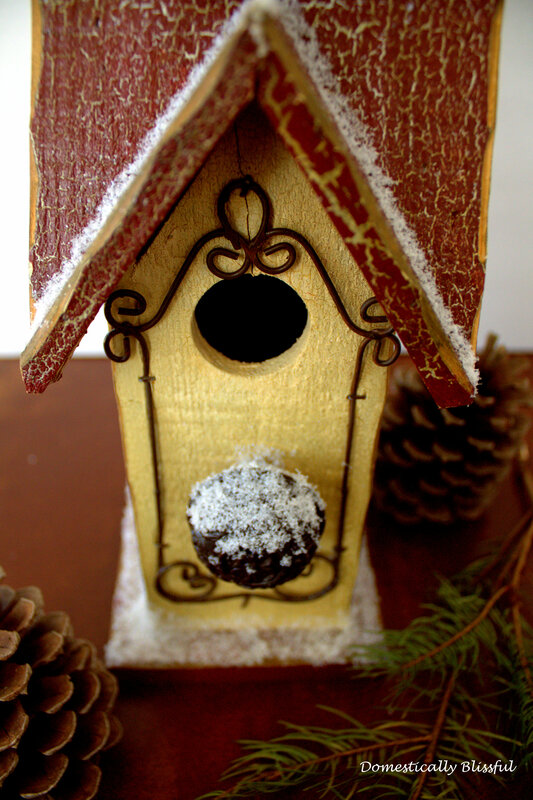 Last Christmas I was admiring the winter birdhouses – we have a lot of decorative birdhouses from Hobby Lobby – but I couldn’t bring myself to fork out the money… So instead, we strolled over to the summer birdhouse section and they were having a huge sale! So naturally, the next step was to pick one out and decorate it for winter! 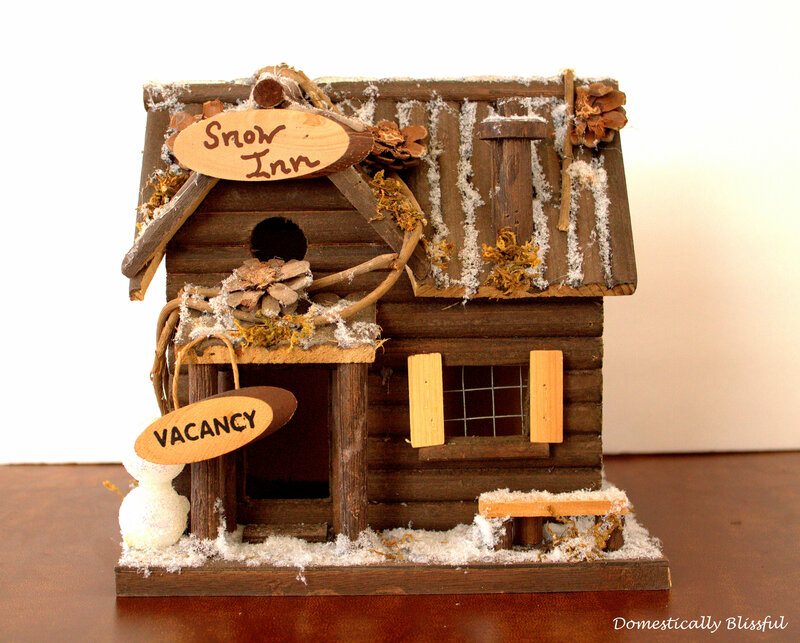 Last year we renovated a “hunting” log cabin into a beautiful “Snow Inn.” This year we found a cute little birdhouse that was missing it’s steeple, unfortunately it was the only one, but that just meant we got an extra little discount! 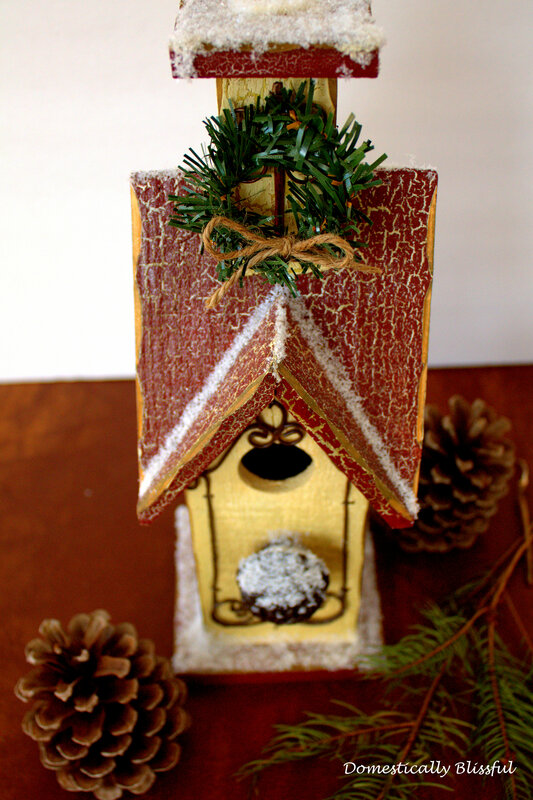 This DIY Winter Birdhouse is so simple and fun to decorate with your family this holiday season! 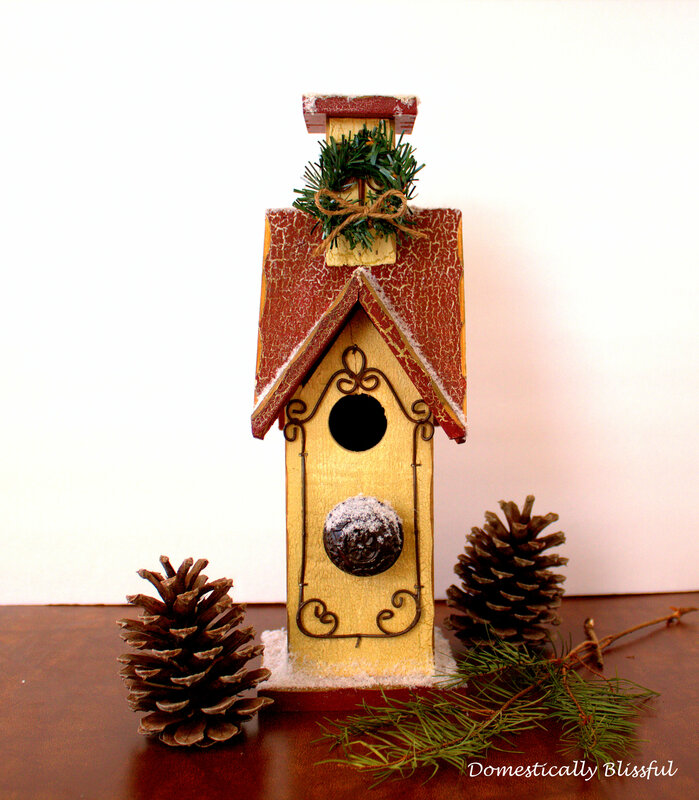 Unlike a gingerbread house this winter birdhouse will last for many years to come! 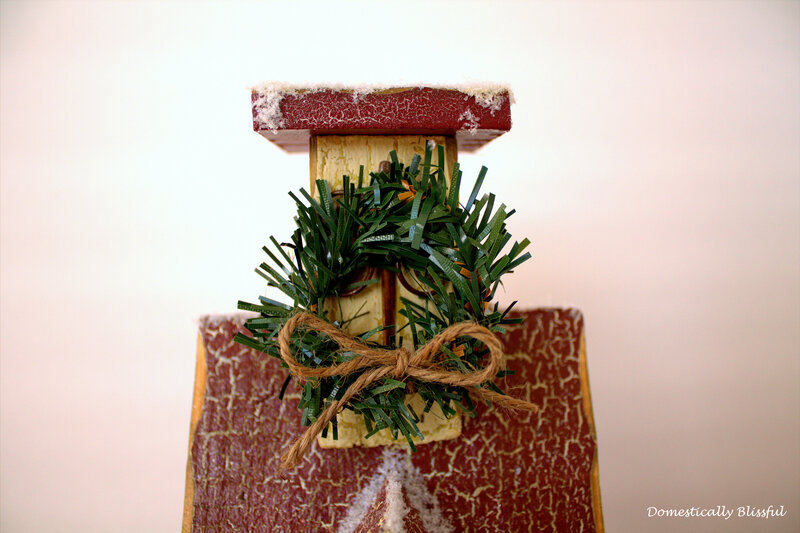 First, apply glue to where you want the snow to stick then sprinkle on some snow. Let it dry then shake the extra off. Continue to do this around the birdhouse until you have the look you want. I like to lay down a plastic bag to catch the extra snow so I don’t have a big mess later. We also made a mini wreath out of 3 branches from a small artificial wreath and attached it with glue from a hot glue gun. 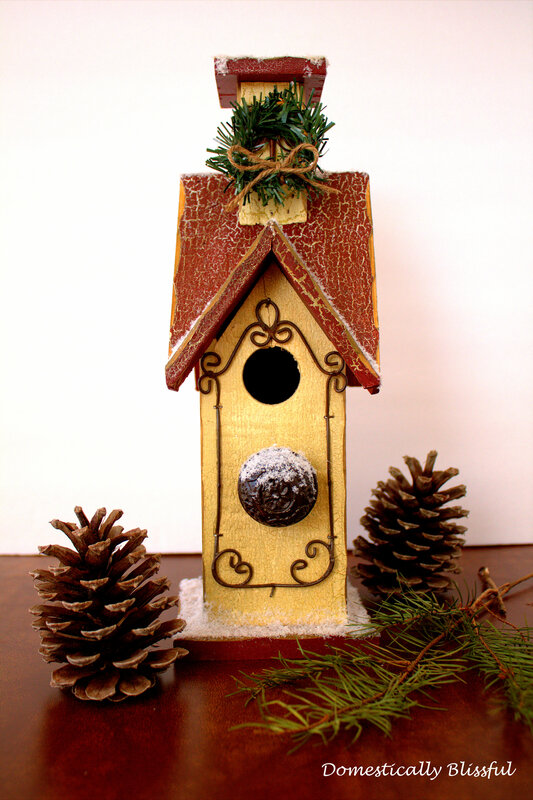 Have fun decorating your own winter Birdhouse! Thank you for being the lovely and wise young woman you are! I wish there were more like you!